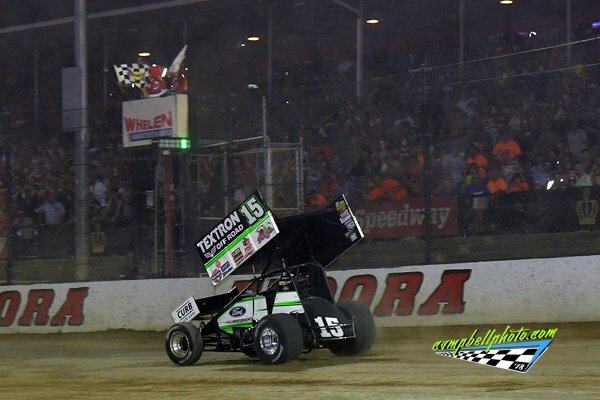 Donny Schatz started fourth, took the lead on Lap 15 and never looked back, leading the rest of the way to win his 15th World of Outlaws Craftsman Sprint Car Series Feature of 2018 and third consecutive Kings Royal at Eldora Speedway, worth $50,000. Brad Sweet surged late and came within half of a car-length at the checkered flag, finishing behind Schatz by just 0.189 seconds. Cory Eliason, in his first career Kings Royal start, completed the podium. 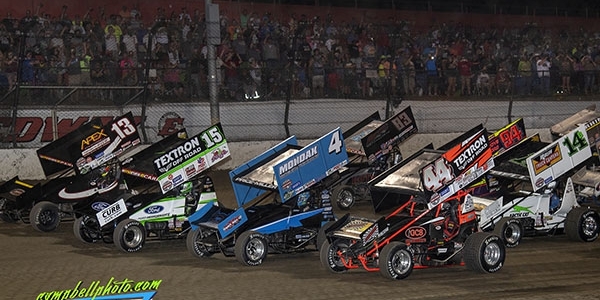 View full 2018 Kings Royal results from Eldora Speedway below. Schatz acknowledged that he was searching for speed the last 10 laps, “I knew someone had to be coming. I was hanging the last 10 laps, I could not get stuck anywhere. I’m lucky it wasn’t 41 laps tonight, because obviously the No.49 was coming there at the end,” Schatz said in Victory Lane. “I came up one lap short, some of those lapped cars didn’t cut me a break. Coming to the checkered, I was cussing because I wanted it to be the White Flag,” Sweet said with a smirk. “To be the best, you’ve got to beat the best and the way [Schatz] shows up at these big money events, is why he’ll down in history as one of, if not the best of all time. This NAPA racing team has nothing to be ashamed of tonight, I just wish it was one more lap tonight,” Sweet added before encouraging the huge crowd to come to the pits and introduce themselves. Christopher Bell set Quick Time over the 51-car field and was running in the top five, when he pulled pit side with 14 laps remaining. After the caution on the initial start, the race went non-stop. 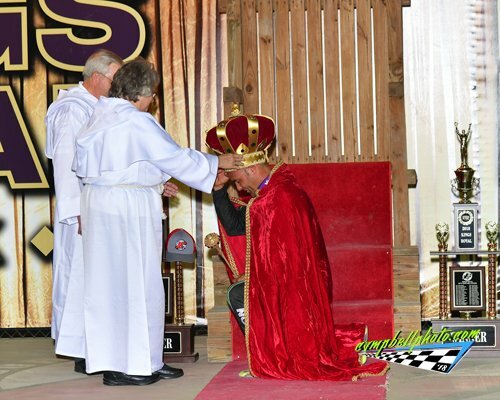 View full 2018 Kings Royal results below.